I will admit, I have never been a big fan of cranberry sauce, unless of course, it’s my mom’s. That weird stuff that slides out of the can with the impression of the can rings on the side? Um, no thanks. Too weird. 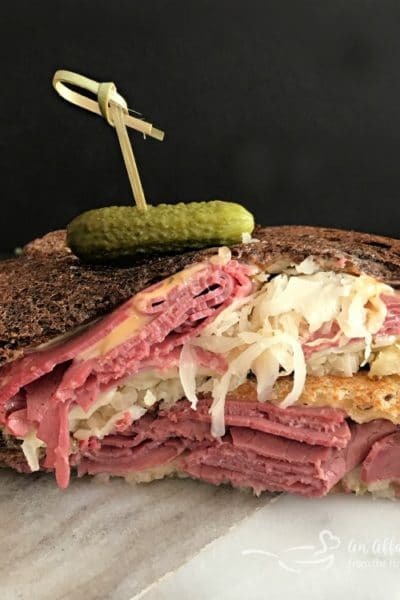 Food shouldn’t look like the container it came out of, should it? I love this fresh cranberry sauce my mom makes. It has an orange flavor, that personally I think just makes it taste perfect. 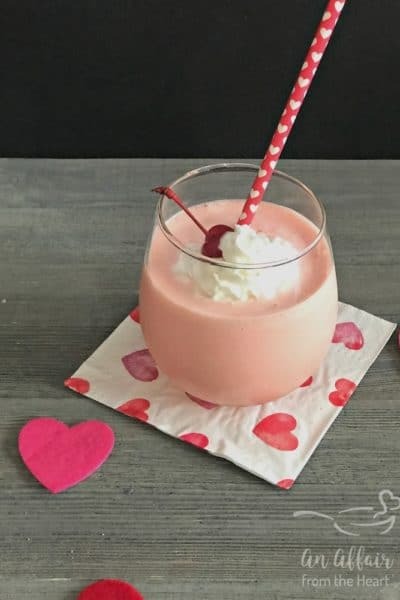 Cranberry-Orange is a fantastic flavor combination. My memories of Thanksgiving are always heartwarming. As a kid we went to my Grandma’s every year. (My Mom’s Mom) I can close my eyes and picture her in her kitchen in South Omaha, wearing her dress and her apron, cooking and laughing with us as polka music played in the background. That very kitchen floor is where she taught me how to polka dance. Big Joe Polka Show was one she never ever missed. I wish my grandma had been facing the camera. 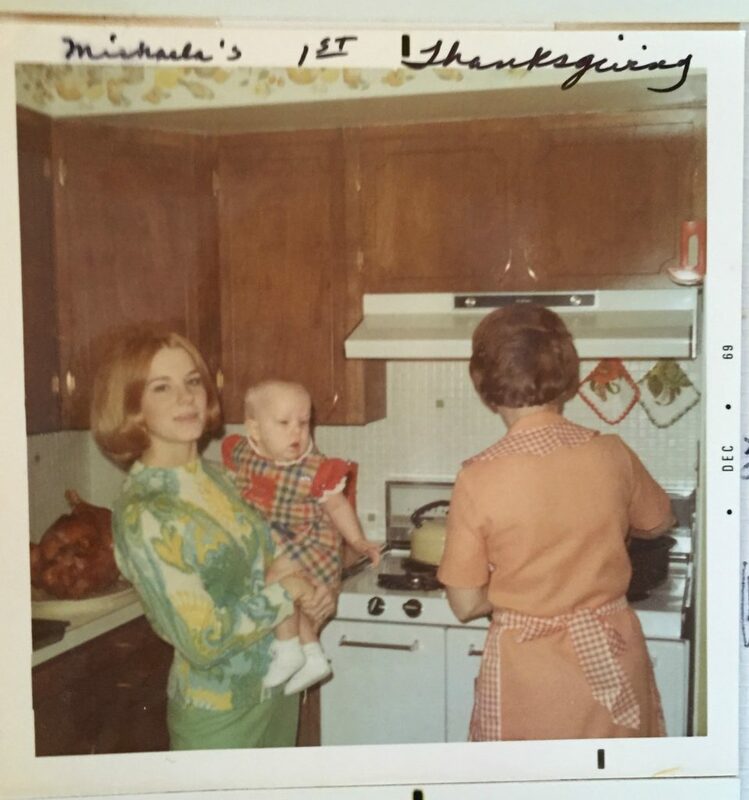 This is her, my Mom and me on my first Thanksgiving. I was about 5 months old here. My grandma was a marvelous cook, and it’s a quality she passed on to my Mom, and I hope that my kids feel like, to me. To me Thanksgiving is always about tradition. We eat the same thing EVERY year, and that is the way that I prefer it. I don’t want any surprises! 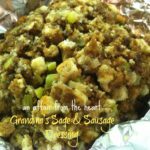 As a kid we had Turkey, My Grandma’s Pork Sausage and Sage Dressing, Mashed Potatoes and Gravy, Corn, Dinner Rolls, Cranberry Sauce, Sweet Potatoes (for the few who liked them), Pumpkin Pie and My Grandma’s Rhubarb Pie. 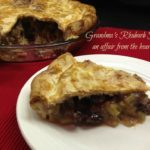 We have exactly the same thing now, at my Mom’s house, with the exception that the rhubarb pie is now apple pie! 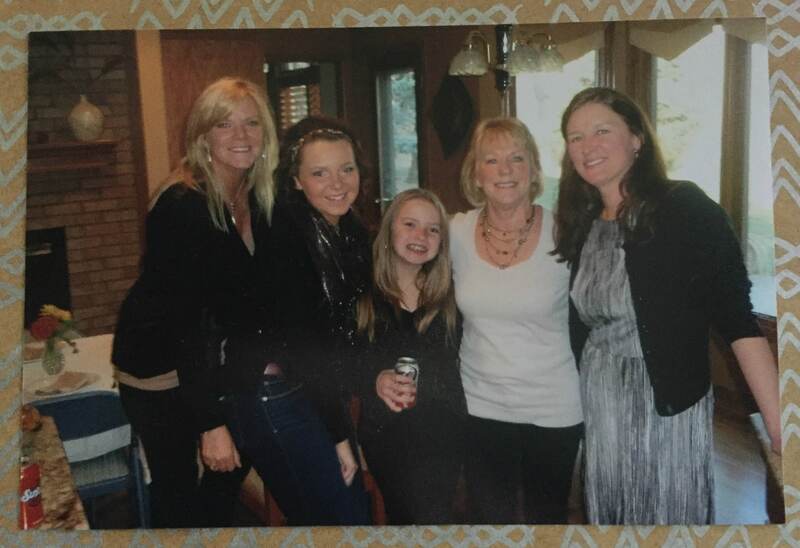 My Mom’s Kitchen – “The Girls” – Thanksgiving 2013 – Me, my daughters, Kenzie and Josie, my Mom and my sister-in-law, Julie. My husband says Thanksgiving is his favorite holiday, “because it’s all about going home, family and food. No presents to buy, just togetherness.” Thanksgiving is a time to fill your belly so full with good food then crowd in that piece of pie while you’re reading through the ads or lounging on the couch watching football. It’s about toasts with (sometimes too much) good wine, and going around the table saying what we are thankful for. Thanksgiving is plain and simple about family and good food. Here it’s pictured with some orange zest on top. So pretty, and I love that bowl of my Mom’s . This fresh cranberry sauce is the only one I will really eat. I love that it has that hint of orange! In a medium saucepan over medium heat, dissolve sugar into the juices and bring to a boil. Remove from heat and place the sauce in a bowl to cool and thicken for a few hours. Refrigerate. Can top with zested orange for serving if desired. 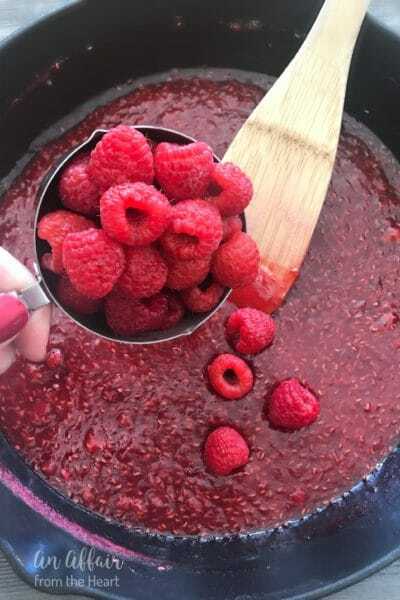 When you have tried this, and are lucky enough to have a little bit left, pop over to my friend, Candi’s blog, The Devilish Dish and grab her recipe for the Berry Best Muffins. I love to use the left overs and make a batch of cranberry orange muffins! So, however you celebrate it, whether you prepare the same thing every year based on tradition, or make something new each year, or just starting out and developing your own dinner traditions, I hope that you and yours have a very heartwarming Thanksgiving and that you are blessed beyond measure! What a great post. 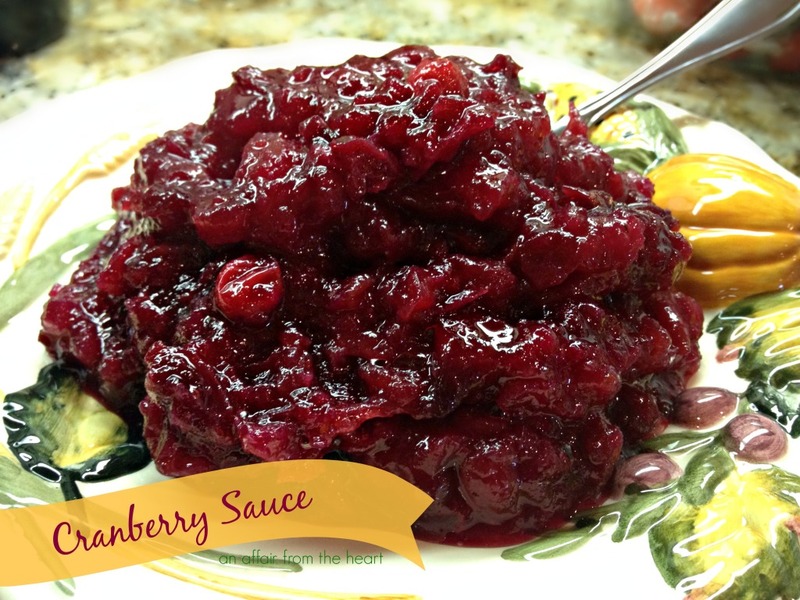 Now that’s how cranberry sauce should look, great recipe. Michaela, not only did you do a stunning job with the food photos, you captured the essence of what Thanksgiving should be with your family photographs as well as your words. Lovely post and it touched my heart. Patty, Thank you so much!! That means so much to me! Your cranberry sauce looks great. I, too, have never been much of a fan of that canned stuff. My Grandma taught me to Polka dance as well. She and Grandpa used to go out almost every weekend and Polka. What a lovely story you’ve shared here. Thanks! 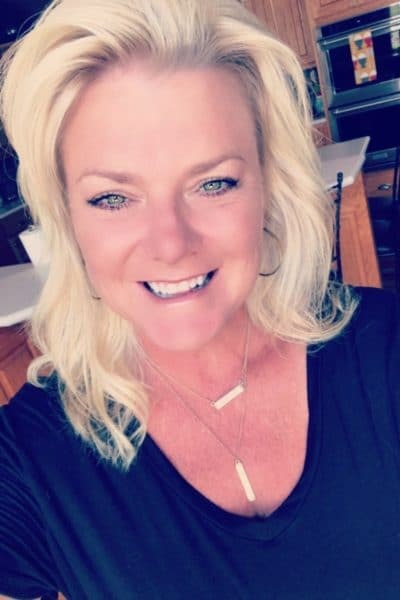 Michaela, I have tears in my eyes after reading your story. You can just feel the love surrounding your special family…keep making beautiful memories and hold onto all those precious ones from the past forever! And that cranberry sauce! 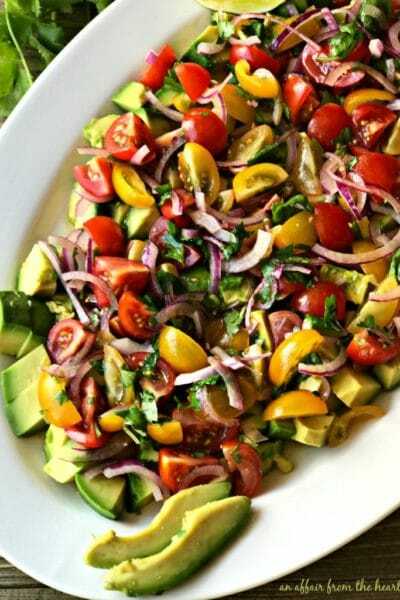 I wish I could dive into that bowl right now! Aw, Thank you so much, Linda!! Family is everything, your’s is beautiful, too!! G’day Great post and agree that Thanksgiving is all about family and traditions! You look just like your mama. I agree with your husband, Thanksgiving is my favorite, too. I love the food and family. I have been looking for a good recipe for cranberry sauce… This sounds wonderful with the pineapple and orange! yum! Terrific post Michaela. I love homemade cranberry sauce. Your pictures are so great, it’s nice to be able to bring back those wonderful memories. Pinned/shared. I love the addition of pineapple juice! I do mine w/ orange and orange zest but never thought about adding pineapple. I agree, Thanksgiving is my absolute favorite holiday because there are no gifts involved or costumes or any of the commercial stuff. Just some good food. Aw, Sweetheat! What a lovely, sentimental description of our Thanksgivings! Your pictures are beautifully done, and I am so proud of you and the fact that you enjoy carrying on our family traditions! You have surely surpassed my cooking abilities! Grandma must be so proud! 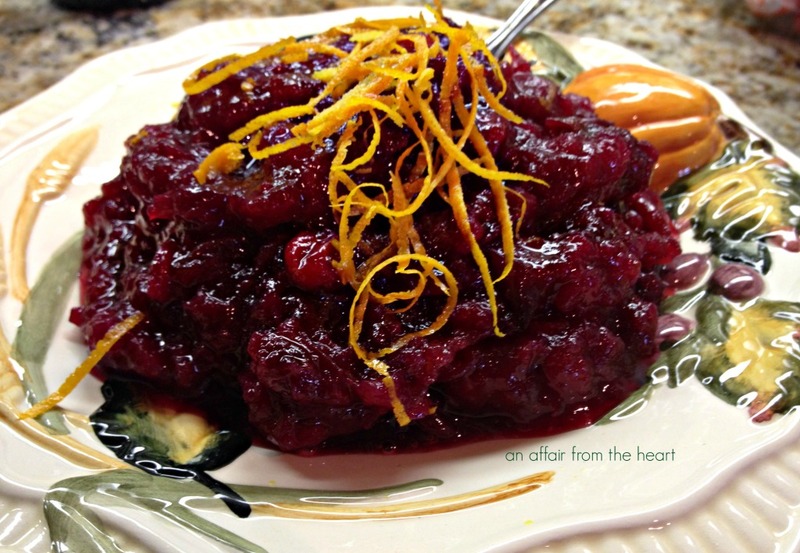 This is one amazingly delish looking cranberry sauce!! I do hope you’re linking this up with Pure Blog Love today!! There is nothing better than family recipes!! And your picture is fabulous! I’m sharing it on my Facebook page tomorrow afternoon! Pinning and stumbling too! Happy Friday! I love that you shared the picture from the past, I love looking at old pictures. Your mother was beautiful! And that cranberry sauce looks yum! 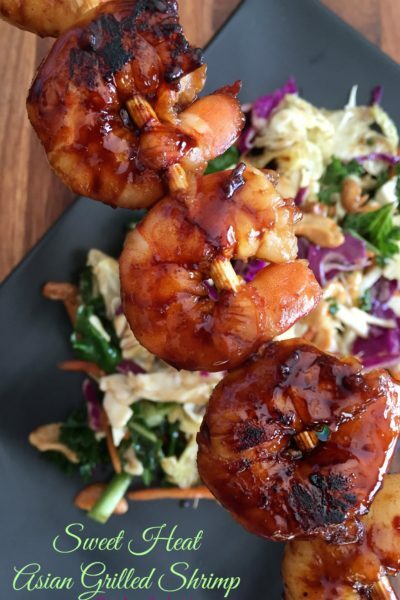 Thanks for linking up at Foodie Fridays this week!